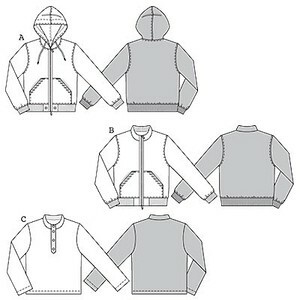 Sweatshirt jackets with kangaroo pockets and knit waist and sleeve bands. Choose the hood or the standing collar – both are sure to be favorites in the casual layered look. 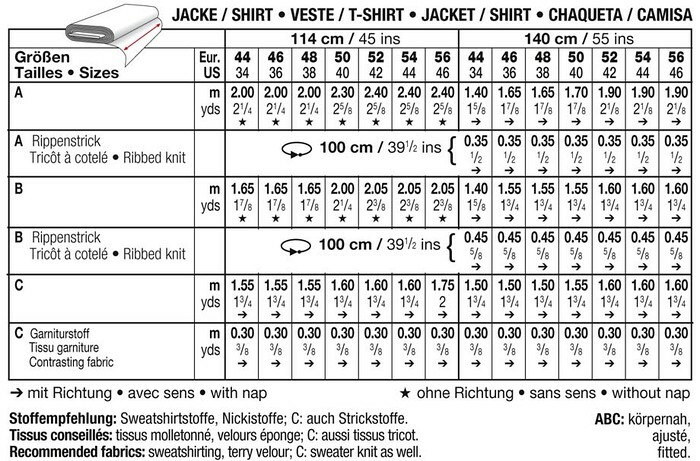 The shirt with front slit opening and standing collar also has high fashion potential.